Theresa May, who had campaigned against Brexit last year but took over the Conservative party after David Cameron lost last June's Brexit referendum, delivered her terms for withdrawal in March. Theresa May leaves the Conservative Party's Headquarters after Britain's election in London. 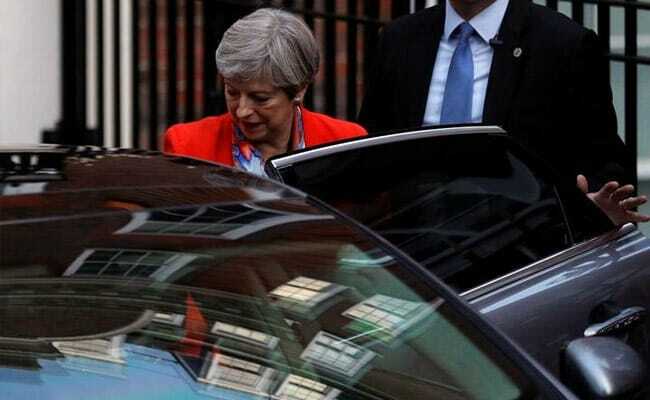 Brussels: Britain's European Union partners do not know what to make of an inconclusive election result that throws the future of Prime Minister Theresa May in doubt and may delay if not more seriously derail talks on Brexit. With no official reaction yet from senior figures in Brussels or in national capitals, one EU official said it was too early to speculate on how the bloc would react to a change in Britain's demands for its withdrawal in 2019 or whether plans for negotiations to open on June 19 would be put on hold. "Let's see if the next government changes its position on Brexit," the official said as results confirmed that May could no longer command a majority in parliament.